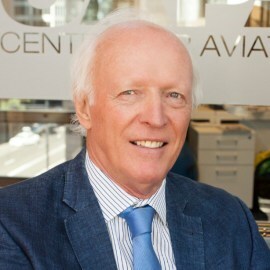 Peter Harbison is Executive Chairman of CAPA-Centre for Aviation (formerly the Centre for Asia Pacific Aviation), which is today the world’s largest publisher of B2B commercial aviation information and analysis. Peter established CAPA in 1990. It now produces the leading range of executive analysis, numerous newsletters, data and information reports, covering the global airport, air navigation services and airline industries. CAPA’s Knowledge Centre also presents major conferences on key aviation topics and provides education and training courses for the aviation and tourism industries. Peter is an aviation lawyer, consultant and commentator on industry issues. He frequently speaks at industry events and presents private high-level executive briefings to airlines, airports, suppliers and consultants. His career in aviation comprises more than 40 years, in government and in industry, including two years with the Australian mission to the International Civil Aviation Organisation in Montreal and 10 years at a senior level in the International Air Transport Association, IATA, in Geneva. Over the past 20 years, he has conducted more than 200 consultancy projects in aviation, including airport privatisations, airline startups, strategy formulation and regulatory development. He has authored and/or edited numerous reports on the aviation industry, including a recent comprehensive 300-page report on the global low cost airline industry. Peter Harbison was formerly Chairman of IATA’s World Aviation Regulation Monitoring Group, President of the Aviation Law Association of Australia and New Zealand and an IATA Travel Agency Commissioner. He holds LLBs from Melbourne and London Universities and LLM (McGill).